"The only time when I feel Alive is when I'm painting"
The Art Department is housed in three large rooms and includes a linked computer suite with a separate dedicated work studio for senior students. 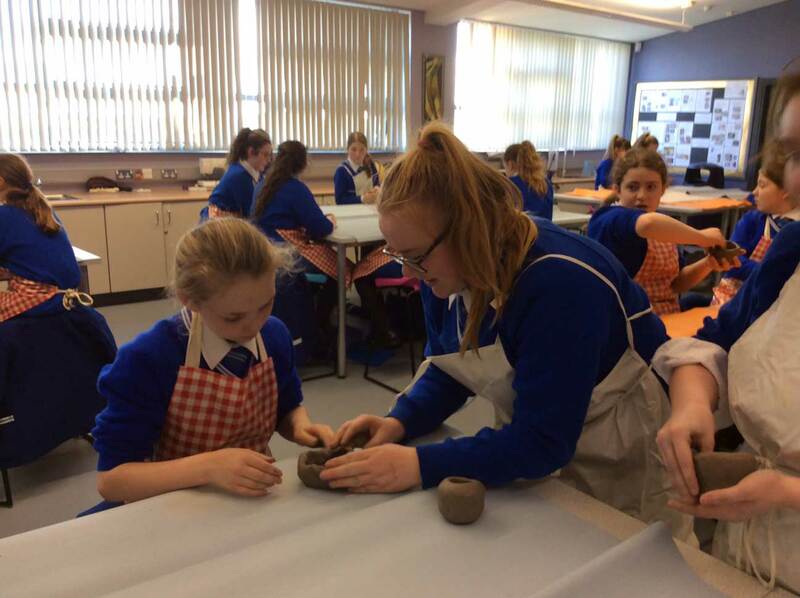 In addition, and boasting of its view over the Mourne Mountains, there is a large gallery for exhibitions and displays of students’ work. All of the rooms are spacious and bright, containing ample storage facilities and are well-equipped with the latest in interactive white-board technology. 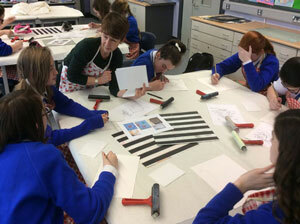 The Department strives to cultivate the talents of all its pupils. Aware of the school’s motto “Fully Alive”, we aim to equip our students to have the technical means to express themselves in a happy and harmonious environment. 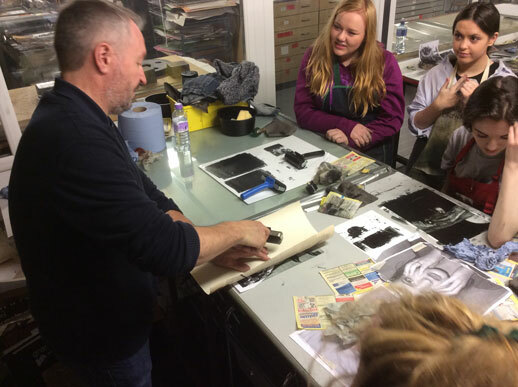 We provide opportunities for them to experience a wide range of media and processes, including textiles, embroidery, painting, print-making, sculpture, ceramics and calligraphy. In addition, there is a History of Art Department which is well equipped with a diverse range of resources to support its delivery and teaching. 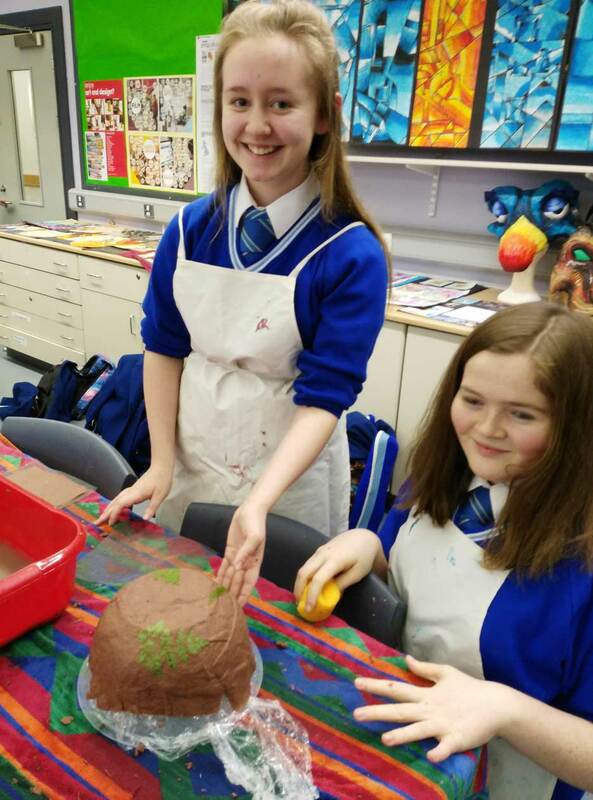 In fact, A History and Appreciation of Art Society was established several years ago and is still a popular and thriving after-school association. We travelled to Florence and Siena in 1995 and another visit was arranged in 2011. 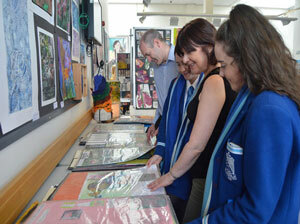 The school has an extensive collection of students work which is on permanent exhibition throughout the school. 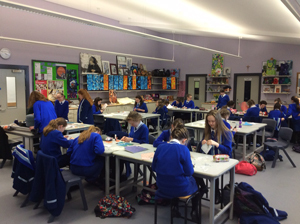 Students are invited to donate a painting from their AS or A2 shows and these form the major part of the school's collection. 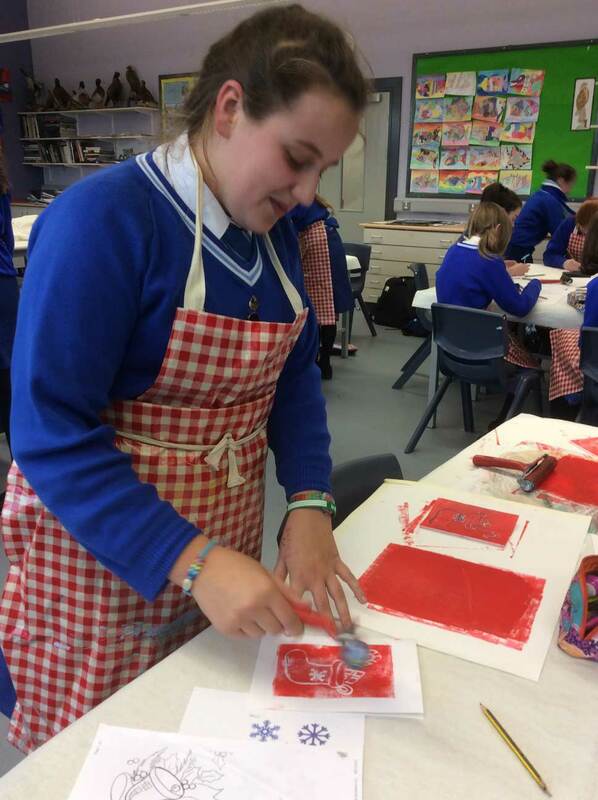 Art is offered to all pupils in the Junior School for two periods per week and is a popular subject for G.C.S.E. 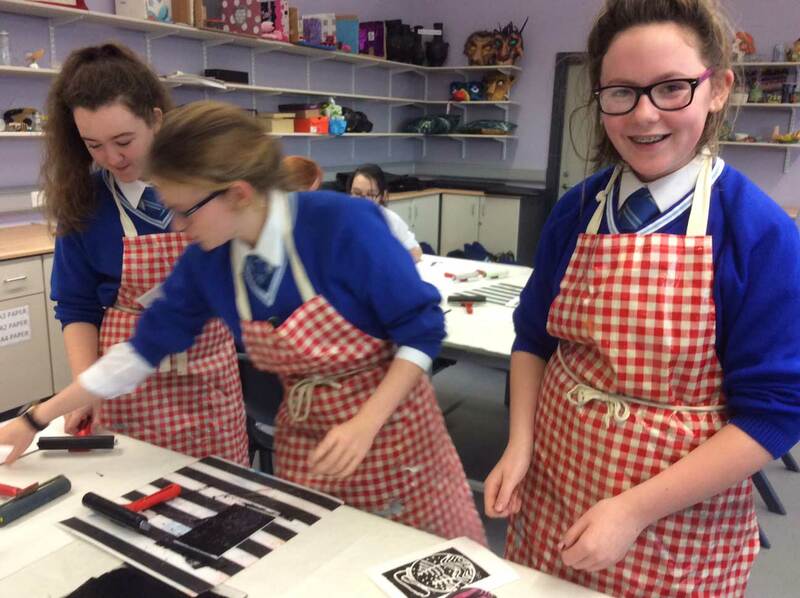 The uptake at Senior School level is particularly encouraging and the majority of our Advanced Level students opt to continue their studies at university and follow careers in Art & Design. Many have had considerable success in their chosen field in the world of architecture, painting, illustration and fashion design. 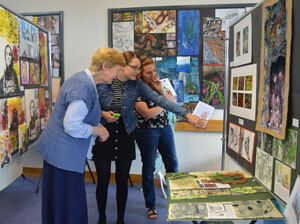 Photos above taken at our annual exhibition showing the work of our key stage 3 and AS/A-level students. Whilst celebrating the success of all our students, we do aim for high results as may be seen in the following table which outlines our external examination results for June 2012. Four of our G.C.S.E. students gained full marks in the examinations in June 2012. 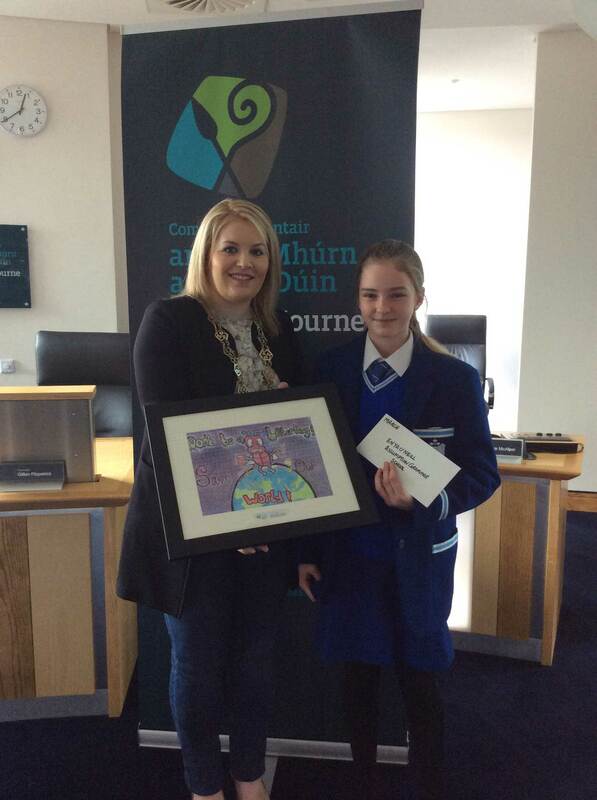 In addition, the work of Year 14 student Alanna McQuaid has been requested by C.C.E.A. 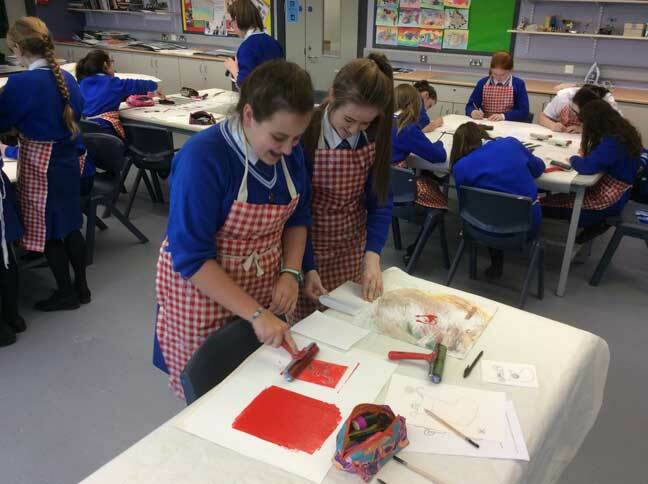 (Northern Ireland Council for the Curriculum, Examinations and Assessment) for their very prestigious ‘True Colours’ exhibition. 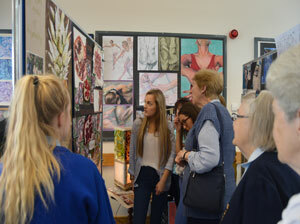 The ‘True Colours’ exhibition showcases the very best work seen in Northern Ireland in the June 2012 examination entries. 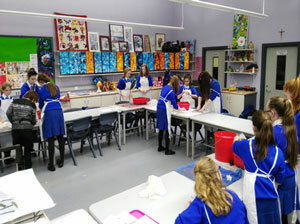 The exhibition takes place in January 2013 and is viewed by pupils and teaching staff, as well as the general public, from all over Northern Ireland. The Art Department results for the last three years are featured in the tables below. All grades at all levels fall between grades A* and C with the majority of students achieving grades A* to B. 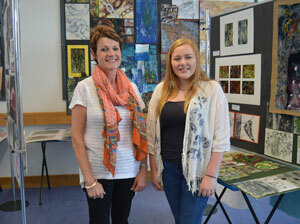 In the June 2013 GCSE three students achieved full marks and in 2012 six students were also awarded 100 percent. The History of Art grades are also excellent with all students achieving grades A to C and the majority gaining grades A to B. Our results at all levels are higher than the Northern Ireland average. 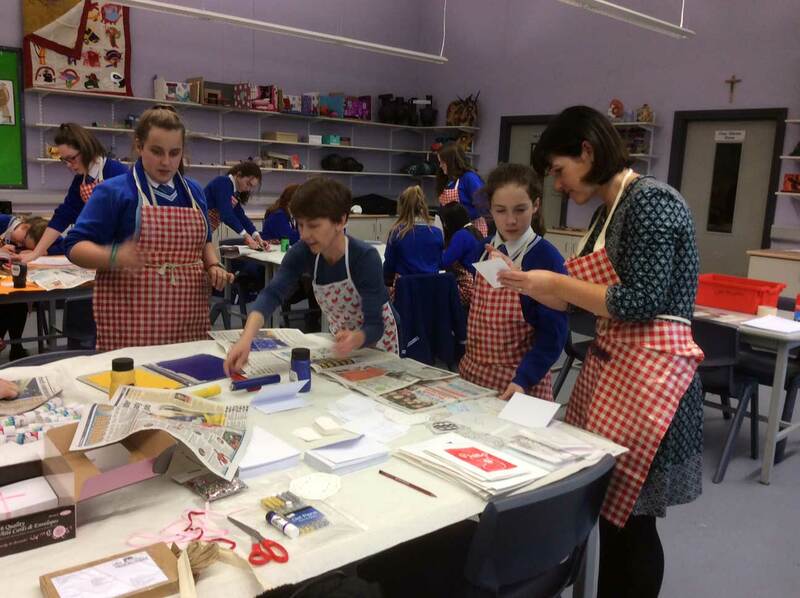 The Art department has several workshops in place bringing local artists from the community into the school demonstrating to the students of all ages some of their niche and specialist skills which will enable them to develop and enhance their creative abilities so as they can pursue a career in the Arts and prepare them for continuing on to higher education whether it be University or alike. 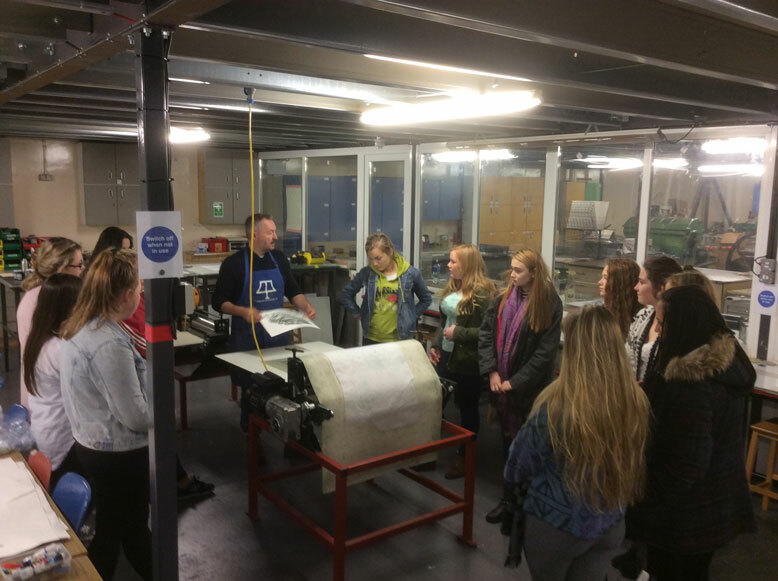 Some photos of the A/S and and A-level students on our day trip to Seacourt Printmaking workshop learning Drypoint and etching techniques under the guidance of professional artists and tutors. 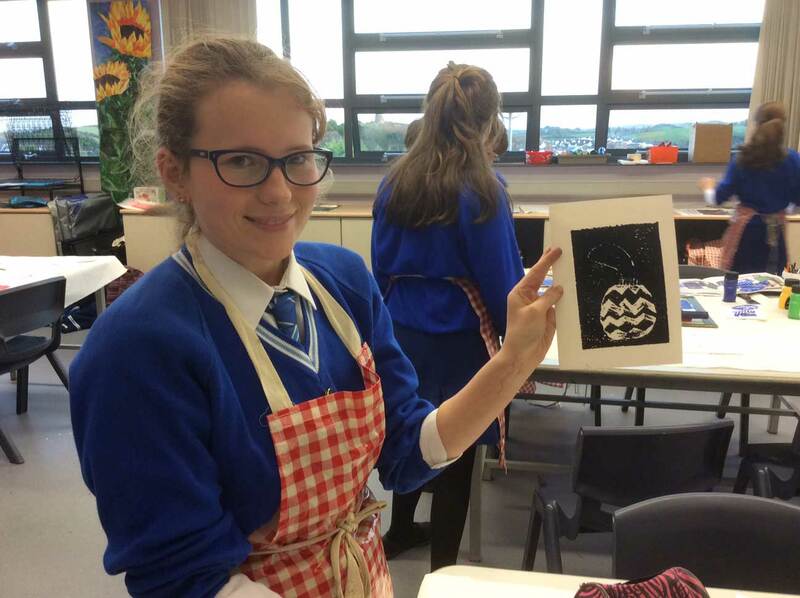 We also have printmaking workshops within the school where we practise linocut and etching techniques where we show our students how to produce work in this fantastic medium. 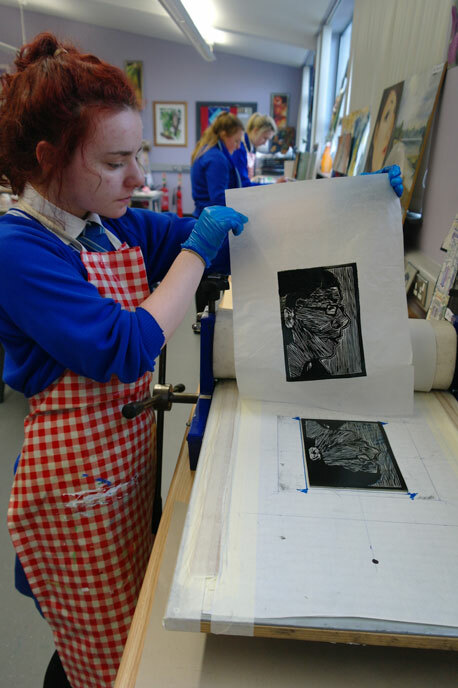 The students have full access to a printing press and other facilities so our school stands ahead of others working with traditional printmaking techniques and is invaluable for those who wish to continue onwards to Art College to become a full practising printmaking Artist. 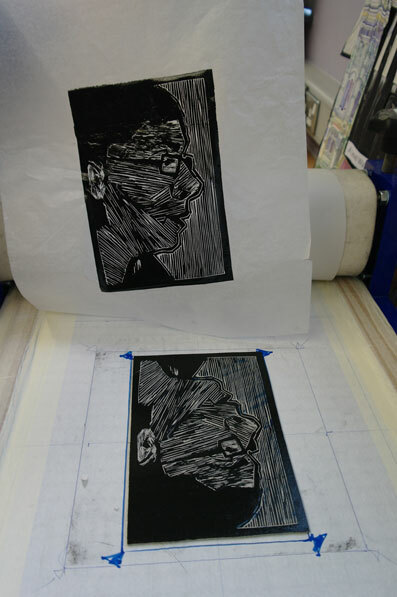 Assumption Art student using the printing press producing a limited edition print in lino. 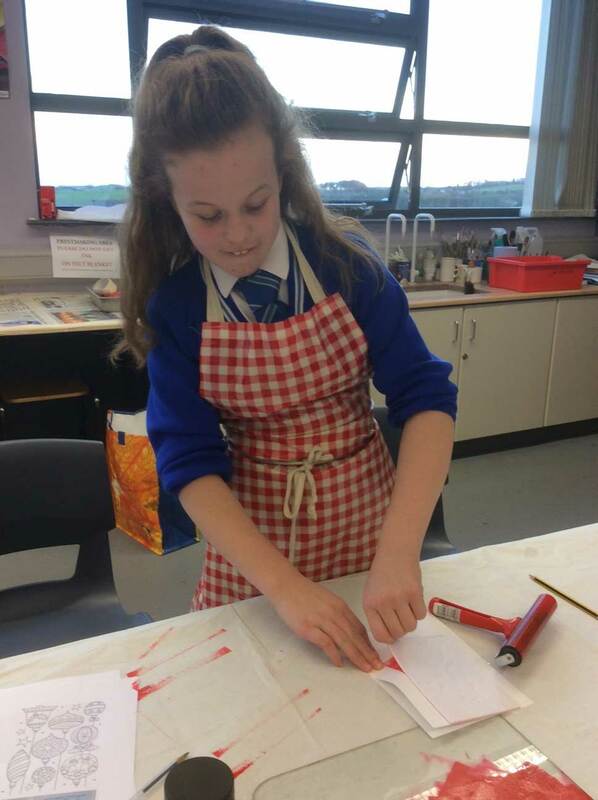 We have several artists who come into our school throughout the year to take part in "Art Club" which take place every Tuesday. We choose an artist that specialises in a certain medium whether it be ceramics, painting, textiles, printmaking etc and we ask them over a series of weeks to demonstrate to our students the skills and process of their particular craft and talk about the business and process of how to make a living as an artist. 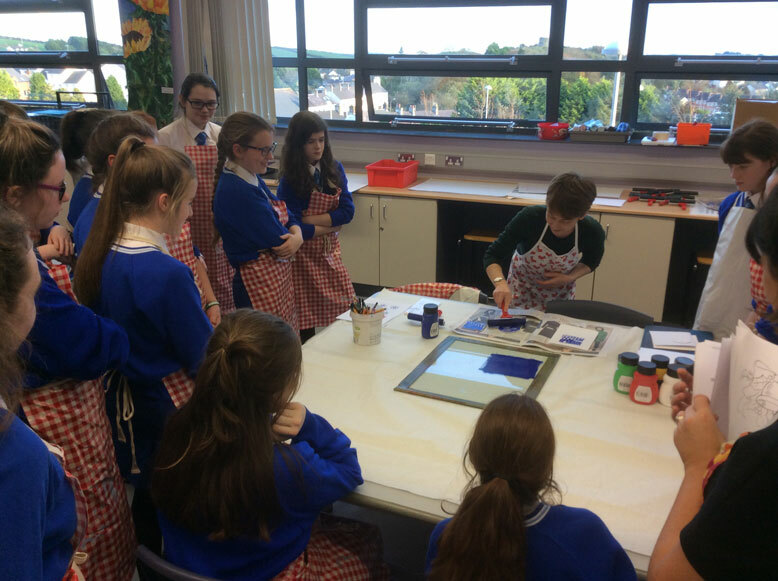 Local artist "Lisa Murray" demonstrating to some of the students printmaking techniques and its process.